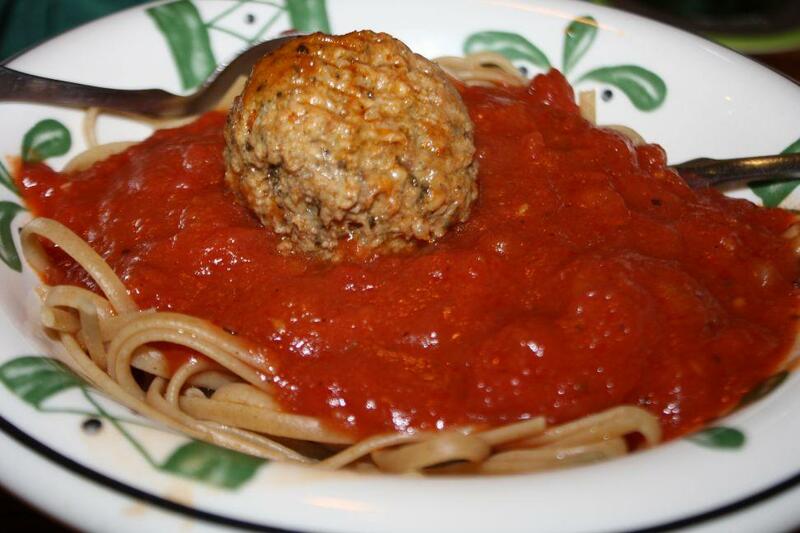 For those of you who measure the "healthy-ness" of a dish by buzzwords associated with it - organic, gluten-free, whole wheat, low-fat, etc - this dish is about the best you can do at Olive Garden. Marinara is the closest to a vegetable you can get in the Neverending Pasta Bowl, as it's little more than tomatoes and salt, and the linguine is probably good for you, somehow. Pictured here is "Healthy" Choice - feel good about overeating!